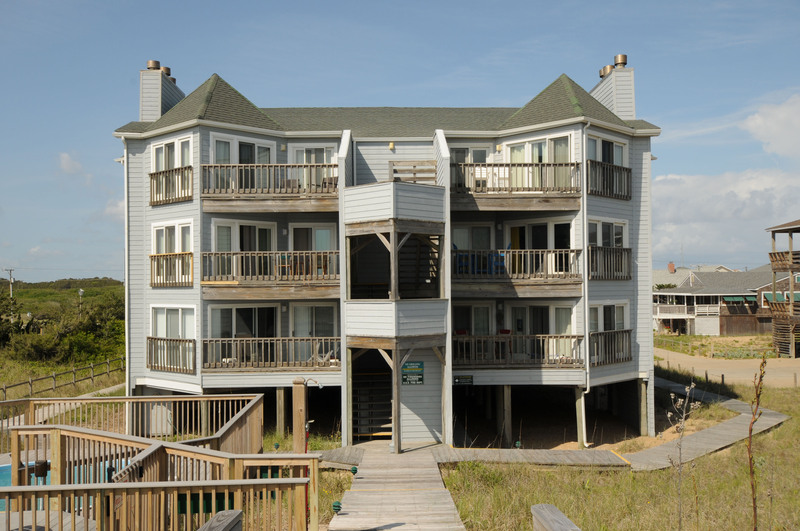 The "Gulf Stream" condominium is located on the Ocean Front in Kill Devil Hills and is a terrific place to spend your Outer Banks vacation. 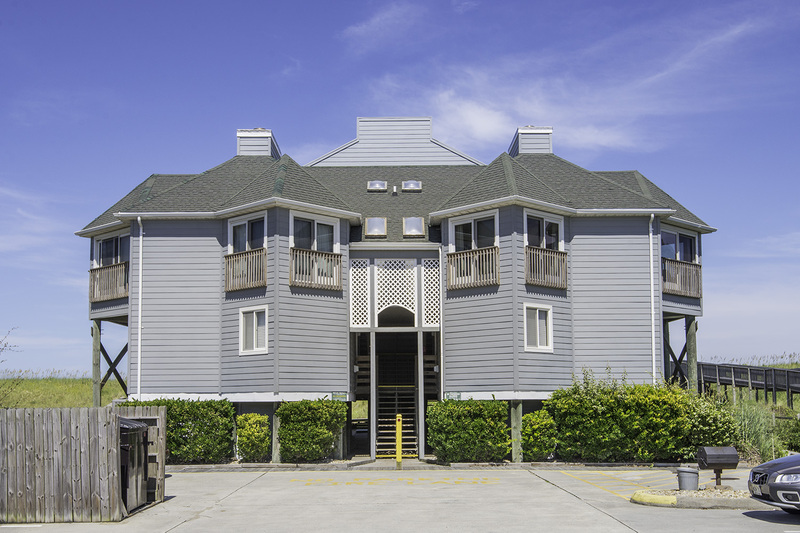 Nicely decorated, comfortable & very well-equipped, this unit features a nautical theme, TV's in all bedrooms, covered porch, walkway to beach, dune deck and gazebo to ensure a grand time on the beach. 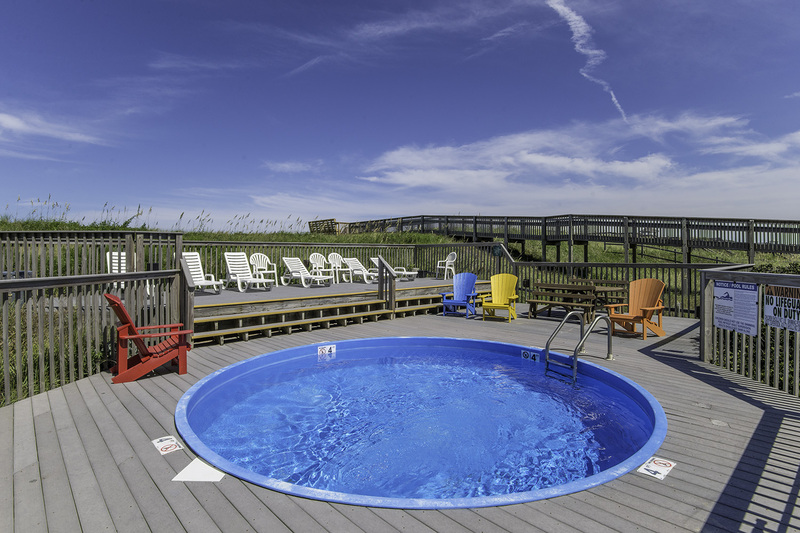 Spend your days relaxing in the sand, take a dip in the blue Atlantic or splash around in the ocean front Swimming Pool. 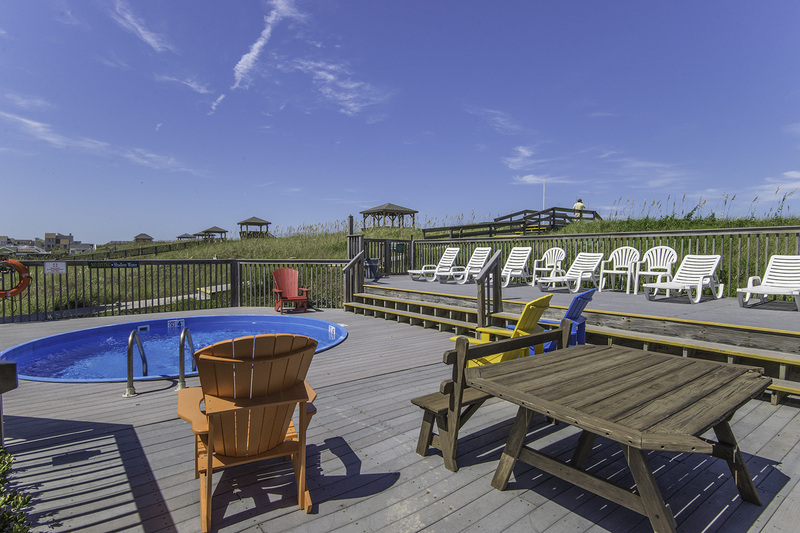 Boasting a wonderful location that is convenient to local attractions, great dining & the various shopping venues the Outer Banks have to offer, your family is sure to be thrilled. There is a luggage lift available to make moving in & out a breeze. The Wright Brothers National Memorial, commemorating the birth of aviation, is located just to the west & is a "must see" for any visitor to our area. 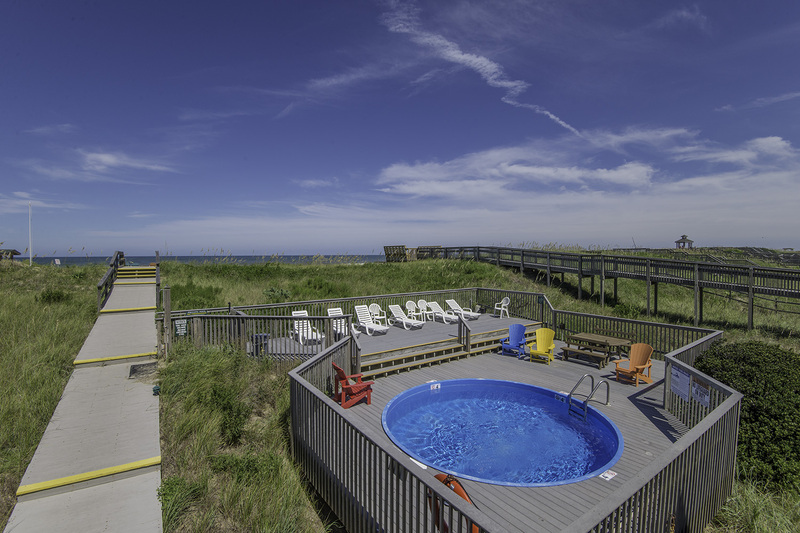 Main Level: Living/Dining/Kitchen Area, TV, DVD, Stereo, 3 Bedrooms (Oceanfront Master Suite w/King, TV, DVD, & Full Bath w/Shower, 1 w/Queen, TV, & DVD, & 1 w/2 Singles, TV, & DVD), Full Hall Bath (Tub & Shower), Laundry Area, Side Covered Sun Deck w/Table & Chairs, & Oceanside Covered Deck, Furniture. 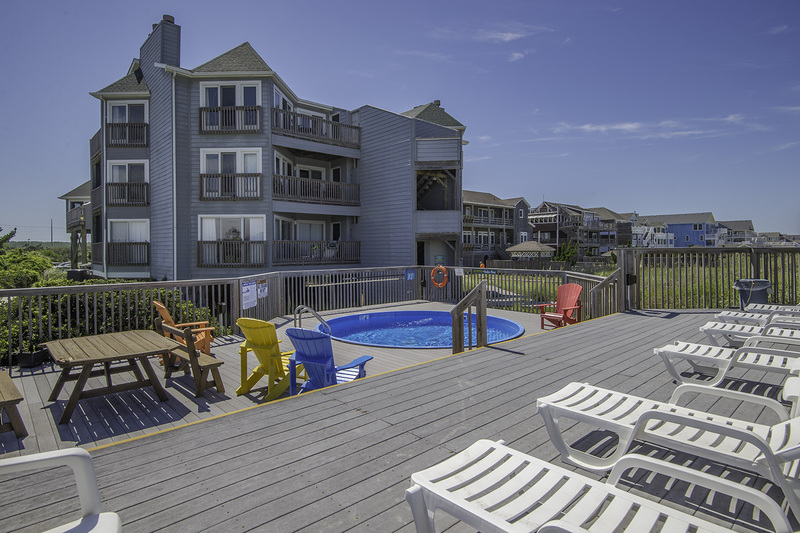 Features Include: C/AC & Heat, Washer/Dryer, Dishwasher, Phone, 4 TVs, DVDs, Wireless Internet, Stereo w/CD, & Ceiling Fans. No Pets. This is a Non-Smoking Unit.